Junior golfer Will Lodge playing in the 2015 US Kids Golf World Championship in Pinehurst, NC from July 30 - August 1, 2015. 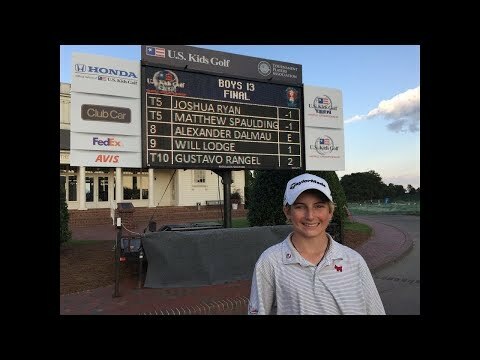 Will played in the 11 year old division at Talamore Golf Club in Pinehurst, NC. He shot 76, 78, 77 over the 54-hole, three day tournament and placed 66th out of an international field of 155. The course played to 5,522 yards, where hole yardages ranged from 126-148 for par 3s, 257-372 for par 4s, and 428-470 for par 5s. The event included 1,450 kids aged 6-12 from 47 states and 51 countries. 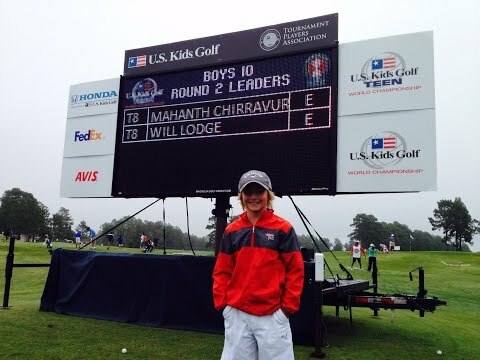 Junior golfer Will Lodge playing in the 2015 US Kids Golf World Championship in Pinehurst, NC from July 30 – August 1, 2015. 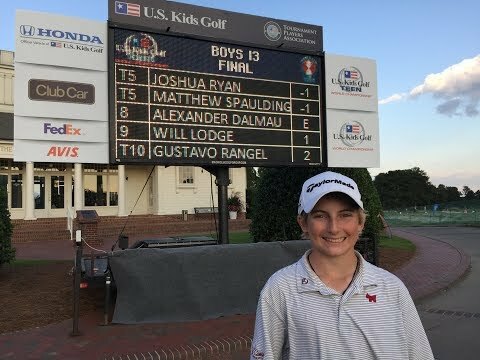 Will played in the 11 year old division at Talamore Golf Club in Pinehurst, NC. He shot 76, 78, 77 over the 54-hole, three day tournament and placed 66th out of an international field of 155. The course played to 5,522 yards, where hole yardages ranged from 126-148 for par 3s, 257-372 for par 4s, and 428-470 for par 5s. The event included 1,450 kids aged 6-12 from 47 states and 51 countries. Why do all these vids have crappy song?